That was definitely the implied theme of the Wedding for Zach and Jessica Boor that took place this past weekend at the Celebration Center in Lyons, Kansas. From the actual racecar in the room to the tires lining the dance floor, the wedding reception was on the fast track to success. The crowd was great and the food was excellent! 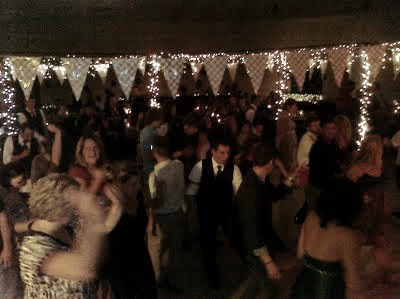 I had a perfect location to DJ from and oversee the entire venue. The slideshow and lighting really brought it home with class. Zach and Jessica, Thank you very much for letting me be a part of your big day!